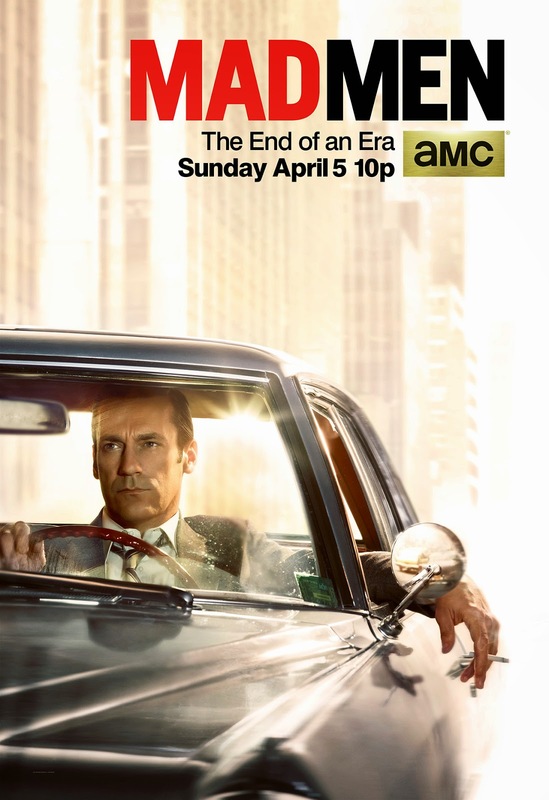 RETRO KIMMER'S BLOG: NEW AMC TV SERIES MAD MEN POSTER! Final Mad Men Poster Released! The last Mad Men poster has been released. Featuring Don driving away, with his tie undone and the sun setting behind him, what could this mean for the Final Episodes? Tune in to find out when Mad Men returns on Sunday, April 5 at 10/9c. In the meantime, check out a larger version of the poster and watch a trailer for the Final Episodes.